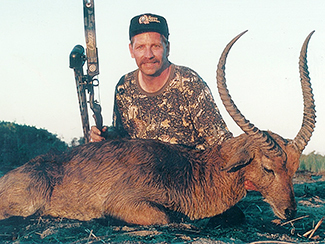 1995 was the first time in modern history that bowhunting was legalized in Botswana. Unfortunately as of 2014 virtually all hunting (with the exemption of private land opportunities - which are few) has been closed by the government. Some special circumstances may still exists but for all intents and purposes hunting is closed.